Unfortunately, sunflowers don't last forever. They will only be available until October, so don't forget that our discount on the Sunflower Bouquet is 20% rather than $10. 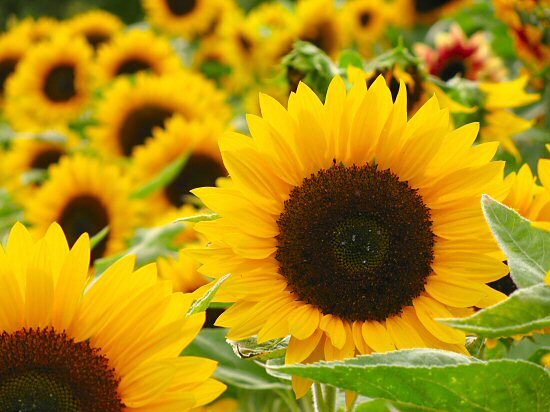 That way, people buying the upgraded arrangement of the Sunflower Bouquet will be getting a better deal. The new discount word is tournesols, so enter it in the Coupon Code heading on the billing information page when you order online, OR join Foursquare, like us, and visit our store to unlock the discount.